Our VirWox review will elaborate on one of the most peculiar blends on the cryptocurrency market; a niche service dedicated to virtual reality currencies, yet able to utilize PayPal to obtain Bitcoin definitely merits our (and your) attention. What sets VirWox apart is their unique business model. Nobody on the market provides the exact same scope of services as them, giving them a monopoly in an enterprise involving Bitcoin. Not a small feat, given the current state of modern cryptocurrencies. 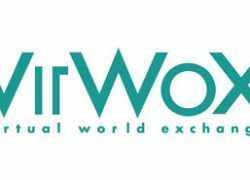 VirWox stands for Virtual World eXchange, which is a centralized Austria-based digital convertible currency exchange, founded in 2007 by Virtual World Services. It specializes primarily in SecondLife Lindens (SSL, Linden Dollars or L$). As you can already tell, VirWox wasn’t designed to be an exchange per se. However, it is a service where you can purchase digital currencies (Bitcoin, for example) after you’ve deposited a certain amount of fiat. So, their primary purpose isn’t enabling people to trade or convert Bitcoin, but providing users with a way to sell digital currencies for online 3D games (mostly Linden dollars). This setup created a loophole, enabling people to buy Bitcoins with fiat currency, something PayPal frowned upon for a long time, seizing and freezing accounts at the mere mention of direct “traffic” of cryptocurrency. On the other hand, PayPal views L$ as “game currency” (similarly to gold in WoW), which makes it a digital good eligible for direct buying/selling. VirWox is a very clever business enterprise that managed to exploit its status of the official authorized Linden Dollar reseller to also buy/sell Bitcoins directly. This is something that makes it unique on the market of cryptocurrency exchange. Initial deposit – After you deposit a certain amount of Bitcoin, you’ll receive an e-mail directly from VirWox. Also, calculate in a small confirmation fee. The operation is instantly fulfilled. Posting – The expected posting time is 1 hour. Purchase – Buy the max quantum of L$ at the ongoing market price, which incurs extra commissions of 2.9% plus the conversion of L$ into SLL. Flat currency – In this step, you’re buying the max USD amount at the ongoing market rate, which, again, leads to 2.9% in exchange fees, plus your L$ conversion to USD. You’ll receive a second order confirmation e-mail from VirWox. PayPal withdrawal – Final USD withdrawal to your PayPal account will come with another 2% alongside 1$ for PayPal fees. It posts instantly to PayPal. As we already said in this VirWox review, you can reverse the process and filter fiat currency through the L$ conversion in order to effectively “buy” Bitcoins directly. People encounter problems, though, when they try to send those Bitcoins to a wallet located outside of VirWox. This is also where most of the complaints stem from. The first limit is counted toward 24 hours, the second one per 30 days. If you need the limits expressed in USD, CHF, and GBP, just use a simple currency converter. These limits were imposed for security reasons, but surprisingly, there are no current withdrawal limitations in place. My Virtual Community Pay Terminal – Free of charge; funds available immediately. Bitcoin – Free of charge; funds available within 1-2 hours. Credit/debit cards – EUR 0.96 + 3.5%, USD 0.49 + 3.5%, GBP 0.29 + 3.5%; funds available immediately. PayPal Express Checkout – EUR 0.35 + 3.4%; available currencies – EUR, USD, CHF, GBP; funds available immediately. Sofortbanking – 2.5% (min EUR 0.25); funds available immediately. Paysafecard – 20%; available currencies – EUR, USD, CHF, GBP; funds available immediately. Skrill – EUR 0.96 + 3.5%, USD 0.49 + 3.5%, GBP 0.29 + 3.5%; funds available immediately. OKPAY – Free of charge; available currencies – EUR, USD, CHF, GBP. PayPal – 1 EUR (USD, CHF, GBP) plus 2% per withdrawal. Bank transfer, Skrill… – 1 EUR (USD, CHF, GBP) handling fee per withdrawal. Sending virtual currency to fellow users is free of charge. If you haven’t used your VirWox account for over 12 months, you will be charged a 2$ inactivity fee per month, but only if your account features a positive balance. Calculating the total fees can present quite the challenge, once all the conversions and commissions are taken into account, so you’ll greatly benefit from downloading a customized calculator or just a simple extension for your browser. VirWox states that they’ll never share your personal information (name, payment specifics…) with third parties, except in cases when they’re ordered to by public authorities. They also don’t store any information regarding your credit card. The non-disclosure clause doesn’t apply, however, to anonymous data collected for statistical purposes. As a part of Virtual World Services GmbH, VirWox employs a HTTPS Protocol, meaning your passwords and other information shared through your communication with the site will be safe and well protected. The company also has a pretty strict and relentless red flag policy, which often results in many blocked and suspended accounts. A portion of user outrage also comes from that fact. No verification is required for utilizing VirWox services. As we already mentioned in this VirWox review, VirWox employs a pretty subpar customer service. Their staff is causing numerous complaints online and we would definitely like to see a momentum caught on that front in the recent future. Apart from its original purpose of retailing digital currency used for various 3D virtual reality social sites, VirWox is also a convenient medium for quick Bitcoin or fiat currency withdrawals. What makes it so unique is the fact that you can (effectively) purchase Bitcoins with PayPal funds, through a conversion “Badminton” of sorts, between fiat currencies, L$, and Bitcoins. So, definitely unique, but is it the best solution for purchasing Bitcoin? Not by any stretch of the imagination. The fact that it works still doesn’t expunge steep exchange rates and other shortcomings we’ve already listed. Our final opinion in this VirWox review is that it allows its digital entrepreneurs to turn their SecondLife earnings into cold hard Bitcoin without much hassle. It can also serve as a decent Bitcoin exchange in a pinch, especially if you want to use PayPal. Having said that, VirWox is a very niche service, which will probably disappoint real cryptocurrency fanatics who happen to stumble upon it. I deposited 90 euros with paypal, only to have virwox clip 15 as fees! I bought some btc with paypal and it went pretty good. I just had to wait for like two days before the transaction started. The interface sure looks dated but it’s pretty neat to use, and you can actually get some btc throguh this thing. It works.